Naturopathic medicine is a distinct system of primary health care that emphasizes prevention, treatment and promotion of health through the use of natural therapies that seek to encourage the self-healing process. Naturopathic Doctors are the medical experts in natural therapies and are the most comprehensively trained specialists in complementary and alternative medicine. Naturopathic medicine is distinguished by the six principles that underlie and determine its practice. Naturopathic medicine is based on the theory that when given the proper tools and opportunities, all organic systems – including our bodies – have an innate ability to heal. Naturopathic doctors work to restore and support this inherent healing process by using therapies tailored to the individual that serve to assist the body in its own healing process. Naturopathic doctors prefer noninvasive treatments that minimize the risks of harmful side effects. They are trained to know which level of intervention is needed with each patient and they know when they must refer to other health care practitioners. Every illness has an underlying cause. Naturopathic doctors see the symptoms of disease as important messages from the body that should not be suppressed or eliminated. Naturopathic doctors address the underlying cause of illness rather than only treating the symptoms. Health and disease are the product of a complex interaction of physical, mental, emotional, spiritual, genetic, dietary, environmental and lifestyle factors. Naturopathic doctors consider each of these factors in treating a patient. Naturopathic doctors empower and educate patients to become active participants in their healthcare and encourage a high level of self-responsibility. They recognize the power of healthcare as a team effort and take the time to educate patients in the steps to achieving and maintaining optimal health. Naturopathic doctors understand the power of preventative medicine in not only preventing disease but also in preventing minor illnesses from developing into more serious or chronic diseases. They use various assessment methods to identify disease risk factors and make appropriate interventions to prevent illness. Naturopathic doctors spend time understanding how all the variables of your “determinants of health” affect your current health. In order to become licensed practitioners, naturopathic doctors are required to pass national board exams in the basic and clinical medical sciences as well as in all of the naturopathic therapeutics. 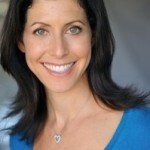 Contact the front office at (310) 451-8880 to schedule an appointment with Dr. Maggie Ney.